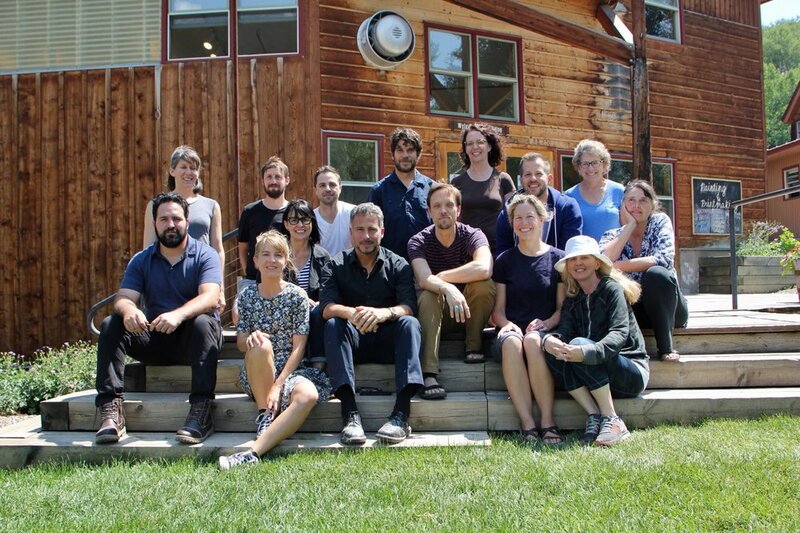 In the spring of 2018, I was selected to participate in a three-year painting mentorship program at Anderson Ranch, in Snowmass, Colorado, lead by artist Enrique Martinez Celaya. This essay is a reflection on my first summer at Anderson Ranch from July 1st-7th, 2018. My time at Anderson Ranch with Enrique Martinez Celaya was truly life-changing. Few teachers can inspire you to take a hard look at the foundations that lie beneath your painting and push you to question everything you accepted so easily mere days before. Celaya did just that. Instead of me leaving with a new trick to play on the canvas, or confidence that what I was doing was good enough, I left with a magnifying glass and a burning desire to examine the foundation of the house my painting stands on. Both terrifying and incredibly exciting, there is liberation in this process. I am seeing which pillars of concept, technique, and habit are solid, which have cracks and which are completely rotted out. Although challenging, pushing hard at the foundations behind my paintings reveals what is true and what is excess, all with the goal of becoming the best painter I can become. The week was structured via three tasks: writing an artist statement, preparing two questions for group discussion, and, of course, painting. Our daily circle where we discussed questions and shared our artist statements. The first task, writing the artist statement, was the most difficult. Each of the 14 painters in our group was asked to write a ten-sentence artist statement-no more, no less. The statement was to be jargon-less, humble, direct and specific. On Wednesday, we read them aloud to the group and received feedback from Celaya. By Thursday, we were to cut our statement down to five sentences, again reading them aloud to the group and receiving feedback. On Friday, we were to trim five sentences into one and read it while standing in front of the work we had created during the week. The goal of this singular sentence was to succinctly summarize our artistic vision while reflecting a direct and obvious relationship to the work we had created. This was the most challenging of tasks, mostly because Celaya was so demanding. With no leniency for sloppy artistic flair and a strong respect for language, he continually pushed us to match our words with not just our intentions but also the actual reality of our painting, in a clear, concise and intelligent way. Let me say that even though I completed all of these steps during the week, I am still working on my artist statement. I am aiming for something I can hang in the studio that clearly speaks not only what I am doing but also inspires me daily to reach my potential. The second task was crafting two questions, which we were to share with the group. We started each morning with questions from three different students. The questions could be about anything. This format provided an incredibly rich means of learning and allowed us to discuss the heart of the challenges faced in painting and in the life of an artist. The final element of the workshop was painting itself. We would have a bit of time in the late afternoon and then would return to the studio after dinner to paint, often late into the night. I found the simple act of painting to be challenging. So many assumptions I took for granted in regards to my painting were being questioned. I did paint, however. And despite the limits of time and mental constriction, I created artwork that I see as seeds for future works and exploration. Now I am back home and working to process all that I learned in this very rich week. I have begun to clear out my studio. I have started a new reading list. I am writing and reflecting daily on what I have learned. And I am working to get to the essence of what makes my painting sing. I am so grateful for this experience to work with Enrique Celaya and 13 talented and ambitious painters. I cannot wait to see what transpires over the next three years, as we all work to shake, destroy and rebuild the foundations of our painting lives. Jennifer Davey, Blueprint, 2016. Oil, chalk and collage on panel, 48 x 48 inches. May 17, 2016: Sitting in my studio, the 4 x 4 foot black square panel staring back at me, I could almost hear the over-thought lines yelling back at me, questioning why I had destroyed the freshness and spontaneity that had appeared in a few chalk and brush marks just days before. It's a horrible moment. The moment I realize I've killed the painting. The Zen saying "first thought best thought" is gone. Now, freshness turns to struggle. The struggle of wanting what was there to still be there and knowing it will not come back. The only way to recover the painting is to make it into the next thing. But letting go of the attachment to what it was or could have been is the hardest part. This is the psychology of painting. The things they don't teach in art school. That moment after it was easy, and I expect it still to be easy. I start to think about what the painting could be, should be, could have been. And that spells death. Until I let go of all of the would haves and should be's and risk being in the present and responding in an authentic way, the painting will be a struggle. As I sat, struggling with myself, in that creaking wooden studio chair, determination began to over-take despair. It suddenly became obvious that the marks and collages felt as though they were floating in black space, each in their own individual worlds. I felt like a lot of parts in my life were also in these different little floating compartments. And how that made no sense. Everything was connected. Even things that seemed to have no relation to one another, were ultimately connected in some way. That insight was my entry back into the painting. Suddenly chalk lines began to fill the space. It was as if an electric grid was illuminating the panel. This painting became the anchor for the exhibit "What You Believe is What You See." I realized that this "blueprint" that had appeared reflected an underlying energetic blueprint in me. It also woke me up to the realization that I have been making work centered around the body since the time I was in art school. This insight was my path back into the painting, but also my path into the direction of the next body of work, and my continued interest in understanding the human operating system, and how to integrate all of these different parts of myself into a thriving whole.